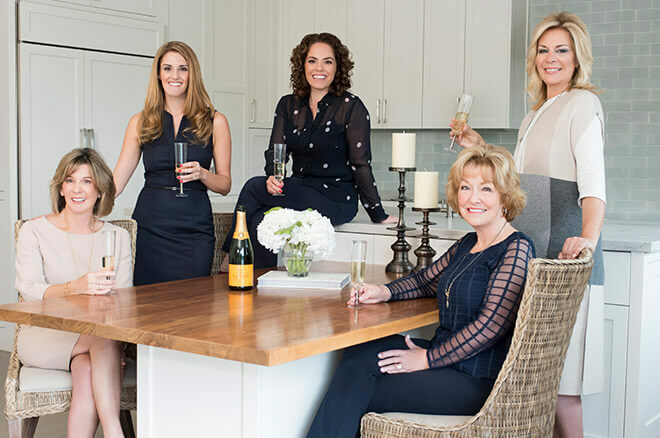 Sternsmith Group, with extensive experience as top Realtors in the San Francisco Peninsula Real Estate Market, has consistently achieved the designation of Luxury Marketing Specialists placing them in the elite status of less than 1% of agents worldwide. The group’s on-going success is attributed to strategic negotiation skills, maintaining the highest level of ethics on behalf of their clients and colleagues, unsurpassed knowledge of today’s real estate market and attention to detail ultimately allowing their clients the luxury of enjoying the sales process, even keeping a sense of humor! These superior traits have awarded Sternsmith Group an exceptional reputation both amongst clients and in the real estate industry. Nothing speaks to this better than the Group’s record for repeat and referral business. While many agents work independently, we chose to collaborate so that our individual talents enhance our ability to better meet clients’ needs. Sternsmith Group recognizes the sale or purchase of a property is a very personal process and guarantees your needs are first and foremost to them. We are ALWAYS available! Sternsmith Group is committed to community. Having enjoyed residing in Hillsborough, Burlingame and San Mateo for over 30 years, we are active participants in serving the community at large. Whether passing out water at Crystal Springs Uplands School Fun Run, selling tickets at the Hillsborough Concours d’Elegance or driving the elderly for Friends in Service, Sternsmith Group is committed and dedicated to supporting and staying involved in their communities. We are proud sponsors of Burlingame High School’s Taste of the Town, Burlingame Public Library Foundation, San Mateo County Hospital Foundation, and The American Cancer Society through Relay for Life, Community Service League Kitchen Tour and more! We serve or have served on the Boards of Mercy High School Alumni, St. Andrews Church Council, Our Lady of Angels Mothers' Club, St. Ignatius College Preparatory Board of Regents, Immaculate Conception Academy, and are active members of the Burlingame Chamber of Commerce, San Mateo County Association of Realtors and the Women’s Council of Realtors. When away from our business, you will find us traveling, gardening, spending time with our kids (12 all together), reading, cooking and entertaining! Meet Casey Sternsmith, founding partner of the Sternsmith Group. 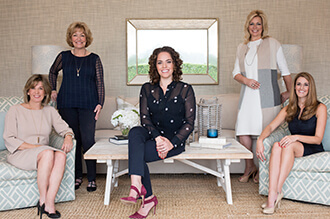 In business, exceptional service is what matters most to Casey Sternsmith. With Casey at the helm of the Sternsmith Group, this level of commitment is shared by all members of the group who pride themselves on being excellent listeners with unwavering integrity, and for providing the best advocacy and negotiation skills for their buyers and sellers. 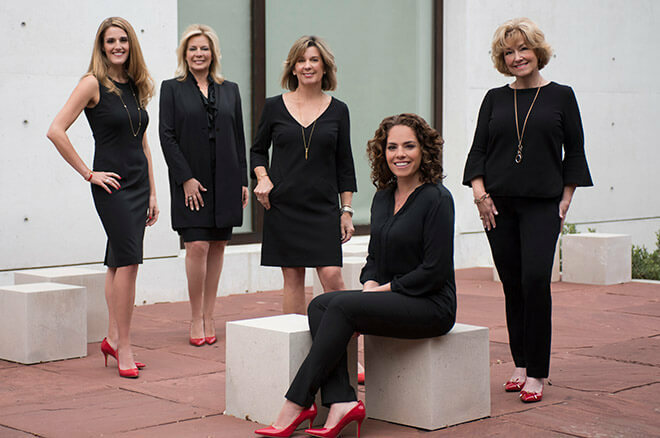 Casey’s philosophy of “love what you do, or do something else” is at the forefront of the entire team, which is evident by their true passion for helping clients achieve their real estate goals. As a leader in real estate marketing, Casey employs tried and true traditional marketing as well as cutting-edge strategies such as social media marketing and professional videos for every home – from small condos to luxury estate properties. Casey’s clients also benefit from her vast personal network as a lifelong resident of the area. As a result, she often achieves unprecedented outcomes for her sellers with quick sales and prices exceeding list price. To her buyers, Casey is known for excelling in competitive multiple-offer situations. With more than 10 years of results that speak for themselves, Casey never looks at the process as a transaction, but rather as a personal decision and life choice that impact each and every day of their life. Because of this, a great deal of Casey’s personal business, and the Sternsmith Group’s as a whole, comes from repeat businesses and referrals. 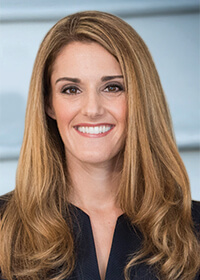 Prior to her career in real estate, Casey owned and operated a personal training/Pilates studio in San Mateo where she honed her customer service, management, organization, and marketing skills. Combined with a bachelor’s degree from UC Santa Barbara, all of this proved to be the ideal foundation for her future success in real estate. Casey and her husband have two small children and reside in Hillsborough. Christine Kosturos, a full-time real estate professional, has a passion for people and is committed to helping them realize their dreams. She brings to her real estate career over 30 years of experience as a successful small business owner in San Francisco and Burlingame. Her exceptional sales, marketing, negotiation, organizational, and people skills are examples of the value she brings as your real estate expert. Born in San Francisco and a San Mateo County resident for over 45 years, Christine knows the area like only a native can. As a mother of three children, her extensive knowledge of schools, neighborhoods and communities is based on first-hand experience and participation. 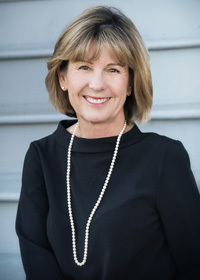 She has been an avid supporter of the Burlingame Community for Education Foundation for several years and is a member of the Burlingame Chamber of Commerce. Through her personal and professional experiences, she has a wealth of local resources to assist you in every aspect of your real estate needs. 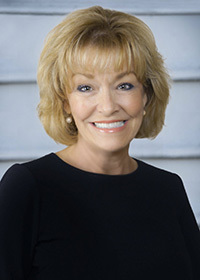 Christine is a member of the National Association of Realtors (NAR), the California Association of Realtors (CAR), and the San Mateo County Association of Realtors (SAMCAR). All of these associations uphold a strict code of ethics that ensure their members are up to date on the latest marketing techniques, technologies, and legislative information with regards to real estate. The decision to buy or sell a home can be an intimidating and daunting task. Christine’s personal mission is to serve as a trusted advisor for her clients by providing them with exceptional, ethical, and dedicated customer service. She takes great pride in building long-term client relationships of mutual trust and respect. She is a proud member of the Sternsmith Group and has a “clients come first” philosophy, which makes her an optimal choice for any buyer or seller. Susan brings to her real estate career more than 30 years of sales experience, managerial expertise, and marketing knowledge. She offers clients uncompromising integrity and work ethic, exceptional communication skills, and an unending attention to detail. Among her greatest assets is her keen ability to listen to her clients’ concerns and expectations and the ease with which she negotiates and closes transactions. No matter which side of the table she’s on, for buyers or sellers, she brings her negotiating skills and creative problem solving to every transaction. Having lived and raised her two children in the San Mateo area, Susan has an intimate knowledge of the local neighborhoods and communities and is well acquainted with both public and private schools. Additionally, her involvement in the local community has resulted in ongoing relationships with many local tradespeople to assist you in every aspect of your real estate needs. Her established community connections and well-respected relationships with other real estate professionals result in up-to-the-minute market knowledge and often, housing availability before it’s made public on the MLS. Susan is a member of the National Association of Realtors (NAR), the California Association of Realtors (CAR), the San Mateo County Association of Realtors (SAMCAR), and is certified as a Luxury Home Marketing Specialist. All of these associations adhere to a strict code of ethics that ensure members are up-to-date on the latest marketing tools, technologies, and legislative information with regards to real estate. Navigating the stressful but always exhilarating waters of California real estate can be challenging. As part of the Sternsmith Group, Susan looks forward to working with you and building a long-term relationship built on mutual trust and respect. Mary Lawson has been a real estate professional since 2004 specializing in properties on the Mid-Peninsula. With her in-depth knowledge of this area, strong negotiating skills, creative marketing plans and extensive real estate knowledge, Mary has the expertise necessary to understand the complexities of purchasing and selling a home. She values her client relationships which are built on trust, performance and integrity. Mary’s goal is to ensure that every transaction is profitable and seamless from beginning to end for her clients. Since 1982, Mary has been a resident of Burlingame’s Easton Addition. Currently Mary is the President of the Auxiliary of Immaculate Conception Academy in San Francisco. Mary has been a proud member of the parent board at the University of San Diego, a past member of the San Francisco Junior League, and a regent on the St. Ignatius College Preparatory Board. On a local level Mary has served as a commissioner on the Burlingame Park and Recreation Commission and has been very active in leadership positions for Our Lady of Angels Parish and School.She values living in the Bay Area and enjoys giving back to her community. She is an active member of the San Mateo County Association of Realtors. Mary has received the designation of a Certified Luxury Home Marketing Specialist. Highly regarded for her enthusiasm and dedication, Mary is proud to be part of the Sternsmith Group and looks forward to professionally assisting you with your future real estate transactions. Tess Salter deeply cares about finding every client their dream home. She is a valuable asset to buyers and sellers who not only want top results, but are looking for a savvy and dedicated agent to help navigate the often overwhelming Bay Area real estate market. Her extensive background in sales and negotiation, traditional and innovative marketing strategies, and “get-it-done” mentality make the client experience enjoyable and easy. Tess’ philosophy centers on always doing what is best for the client. Her passion for the industry stemmed from understanding the value of working with ethical, honest and client-centered Realtors. Tess now dedicates her life to helping her clients find the right property and loves having a career that helps others while building lifelong relationships. 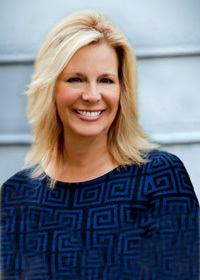 Monica Seeger is a real estate consultant to the Sternsmith Group. 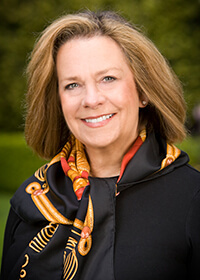 She has over 30 years of experience as an expert in selling homes in Hillsborough, Burlingame, and San Mateo. She consistently ranked as a top agent during her tenure selling homes here. We value and rely on her expertise and guidance to further the knowledge and experience of the Sternsmith Group.